“OpenStack is the true enabler for rapid development and delivery,” says Marcel Härry of Swisscom. Swisscom has one of the largest in-production industry standard platform-as-a-service built on OpenStack. Their offering focuses on providing an enterprise-grade PaaS environment to customers worldwide and with various delivery models based on Cloud Foundry and OpenStack. 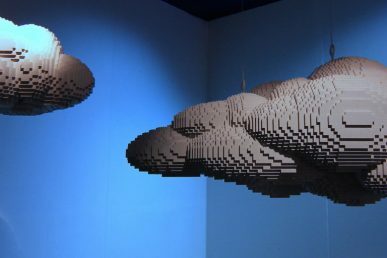 Swisscom, Switzerland’s leading telecom provider, embarked early on the OpenStack journey to deploy their app cloud partnering with Red Hat, Cloud Foundry and PLUMgrid. Superuser interviewed Marcel Härry, chief architect, PaaS at Swisscom and member of the Technical Advisory Board of the Cloud Foundry Foundation to find out more. How are you using OpenStack? OpenStack has allowed us to rapidly develop and deploy our Cloud Foundry-based PaaS offering, as well as to rapidly develop new features within SDN and containers. OpenStack is the true enabler for rapid development and delivery. An example: after half a year from the initial design and setup, we already delivered two production instances of our PaaS offering built on multiple OpenStack installations on different sites. Today we are already running multiple production deployments for high-profile customers, who further develop their SaaS offerings using our platform. Additionally, we are providing the infrastructure for numerous lab and development instances. These environments allow us to harden and stabilize new features while maintaining a rapid pace of innovation, while still ensuring a solid environment. We are running numerous OpenStack stacks, all limited – by design – to a single region, and single availability zone. Their size ranges from a handful of compute nodes, to multiple dozens of compute nodes, scaled based on the needs of the specific workloads. Our intention is not to build overly large deployments, but rather to build multiple smaller stacks, hosting workloads that can be migrated between environments. These stacks are hosting thousands of VMs, which in turn are hosting tens of thousands of containers to run production applications or service instances for our customers. What kinds of applications or workloads are you currently running on OpenStack? We’ve been using OpenStack for almost three years now as our infrastructure orchestrator. Swisscom built its Elastic Cloud on top of OpenStack. On top of this we run Swisscom’s Application Cloud, or PaaS, built on Cloud Foundry with PLUMgrid as the SDN layer. Together, the company’s clouds deliver IaaS to IT architects, SaaS to end users and PaaS to app developers among other services and applications. We mainly run our PaaS/Cloud Foundry environment on OpenStack as well as the correlated managed services (i.e. a kind of DBaaS, Message Service aaS etc.) which are running themselves in Docker containers. What challenges have you faced in your organization regarding OpenStack, and how did you overcome them? The learning curve for OpenStack is pretty steep. When we started three years ago almost no reference architectures were available, especially none with enterprise-grade requirements such as dual-site, high availability (HA) capabilities on various levels and so forth. In addition, we went directly into the SDN, SDS levels of implementation which was a big, but very successful step at the end of the day. What were your major milestones? 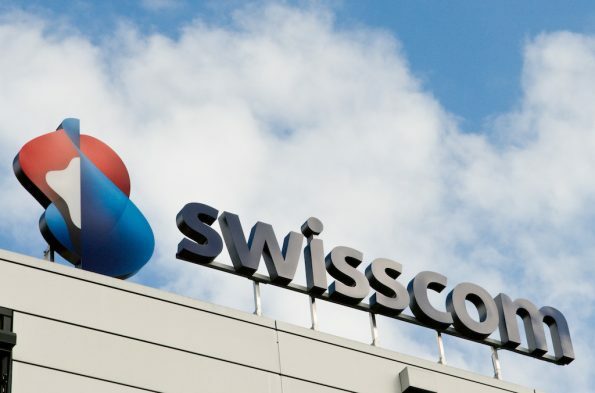 Swisscom’s go-live for its first beta environment was in spring of 2014, go live for an internal development (at Swisscom) was spring of 2015, and the go-live for its public Cloud Foundry environment fully hosted on OpenStack was in the fall of 2015. The go-live date for enterprise-grade and business-critical workloads on top of our stack from various multinational companies in verticals like finance or industry is spring, 2016, and Swisscom recently announced Swiss Re as one of its first large enterprise cloud customers. Pluggability and multi-vendor interoperability (for instance with SDN like PLUMgrid or SDS like ScaleIO) to avoid vendor lock in and create a seamless system. OpenStack enabled Swisscom to experiment with deployments utilizing a DevOps model and environment to deploy and develop applications faster. It simplified the move from PoC to production environments and enabled us to easily scale out services utilizing a distributed cluster-based architecture. What advice do you have for companies considering a move to OpenStack? It’s hard in the beginning but it’s really worth it. Be wise when you select your partners and vendors, this will help you to be online in a very short amount of time. Think about driving your internal organization towards a dev-ops model to be ready for the first deployments, as well as enabling your firm to change deployment models (e.g. going cloud-native) for your workloads when needed. How do you participate in the community? 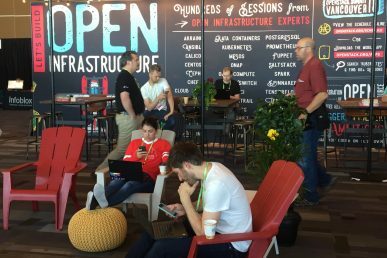 This year’s Austin event was our second OpenStack Summit where we provided insights into our deployment and architecture, contributing back to the community in terms of best practices, as well as providing real-world production use-cases. Furthermore, we directly contribute patches and improvements to various OpenStack projects. Some of these patches have already been accepted, while a few are in the pipeline to be further polished for publishing. 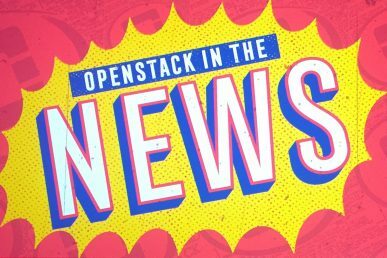 Additionally, we are working very closely together with our vendors – RedHat, EMC, ClusterHQ/Flocker, PLUMgrid as well as the Cloud Foundry Foundation – and work together to further improve their integration and stability within the OpenStack project. For example, we worked closely together with Flocker for their cinder-based driver to orchestrate persistency among containers. Furthermore, we have provided many bug reports through our vendors and have worked together with them on fixes which then have made their way back into the OpenStack community. We have a perfect solution for non-persistent container workloads for our customers. We are constantly evolving this product and are working especially hard to meet the enterprise- and finance-verticals requirements when it comes to the infrastructure orchestration of OpenStack. Härry spoke about OpenStack in production at the recent Austin Summit, along with Pere Monclus of PLUMgrid, Chip Childers of the Cloud Foundry Foundation, Chris Wright of Red Hat and analyst Rosalyn Roseboro. Catch the 40-minute session below.